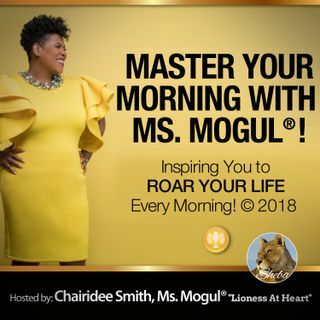 Master Your Morning with Ms. Mogul®, hosted by Chairidee Smith, Ms. Mogul® in Houston, TX is the natural evolution of the MoguLife® Brand. This new platform expands Ms. Smith's discussion about matters of importance in women's leadership, industry and economy, and lifestyle all with a robust sense of humor. Our show is unapologetically bold, thought-provoking, inspiring, and women-centric. We believe this platform is just what curious, intelligent, conscience women leaders have ... See More been waiting for! We invite you to tune in to our show ! You will hear riveting discussions from thought leaders as we provide strategies, insight, and discussions sharing with leaders like you, how to "master your morning." For show details, advertising, and invitations, please go to www.chairidee.com and click on Master Your Morning® link.